The homeowners of Queens,NY have been trusting the professionals at e-Spection to conduct quality home inspections for over a decade. As a suburban community known for its stunning homes and expansive golf courses, e-Spection has attracted some of the most ambitious home developers in the state. A drive through the neighborhood will reveal a range of new and historic homes that put other communities to shame. It’s no wonder that the homeowners in Queens NY choose e-spection as their preferred home inspection company. e-spection provides state-of-the-art home inspections that examine every detail of a home’s structure and its utilities. 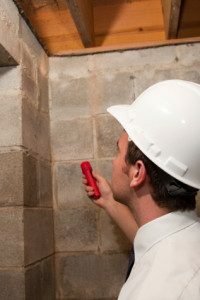 Those looking for a home inspection company in Queens NY should contact the professionals at e-Spection today (516) 334-4663 for more information. The homes of Queens NY are unlike anything else on the market in the New york area. They tend to feature expansive structures with lots of land and ample square footage. When buying or selling property in the Queens NY area, homeowners need to know that their home inspector is doing everything they can to get a full sense of how much their property is worth. The professionals at e-Spection have the equipment to deal with any kind of property or structure in the Queens NY area. Whether it’s a modest suburban home or a sprawling estate, the home inspection process will be tailored to the individual client, making sure that the buyer doesn’t leave anything to chance. The home inspectors at e-Spection know how to get the most out of every inspection. They use infrared camera technology that shows what’s happening underneath every surface, detailing issues that often go unnoticed such as insulation issues that could cost the buyer thousands of dollars in HVAC expenses, circuit breaker issues, water damage, and other structural issues. Most home inspection companies do not have the expertise or the equipment to handle some of these situations. They may simply visually inspect an area to make sure that it’s structurally sound. But when it comes to giving the client peace of mind, these tactics don’t go far enough. Queens NY homeowners need the lasting peace of mind that comes from working with the professionals at e-Spection.The team at e-Spection will be able to pinpoint the tiniest issues to make sure that everyone in the Queens NY area is getting a fair price on their next home. No one should be rushed through the inspection process. Everyone in the Queens NY area can get the peace of mind they deserve by contacting e-Spection. As any real estate agent will say, it pays to go through details. Those looking for a Queens NY home inspection company can contact e-Spection at (516) 334-4663 or Schedule Online Appointment. One of their home inspectors will be able to answer any questions the homeowner might have about the inspection process.